Are you enjoying these “2015 blog year in review” posts? We just have a couple more to go to wrap this series up. 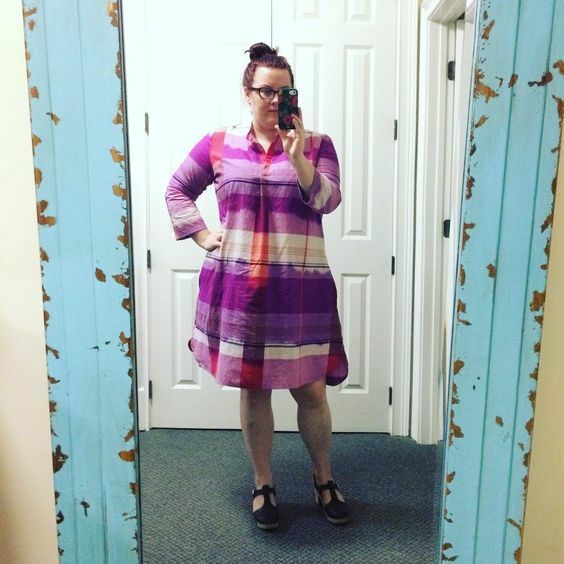 Last week we talked all about the new Lisette patterns that came out in 2015. And now today we’re going to be focusing on the three Liesl + Co. patterns that were released last May. Each one of these three garments would flow seamlessly into any wardrobe. Let’s start out with the Gallery Tunic + Dress which is your closet’s new best friend. Liesl introduced the pattern, gave styling inspiration, and just yesterday she shared her fabric ideas on the blog. 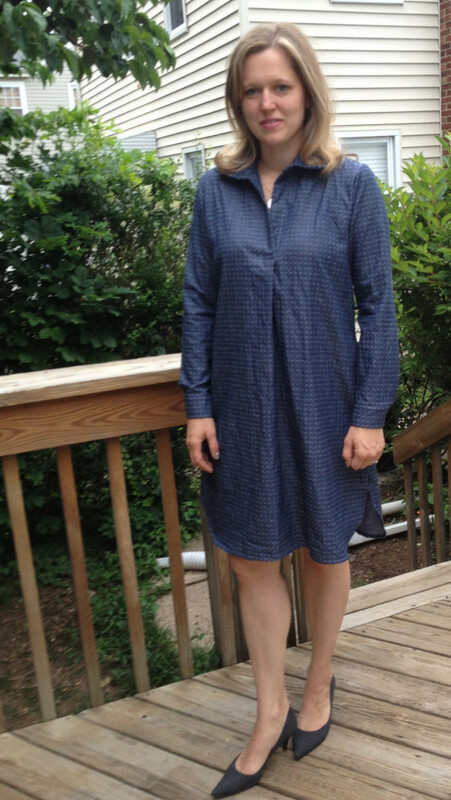 We will be having a Gallery Tunic + Dress sew-along this month. Be sure to join us and you could win a prize! Starting February 15th Brittney will be hosting the sew-along in the discussion forums. 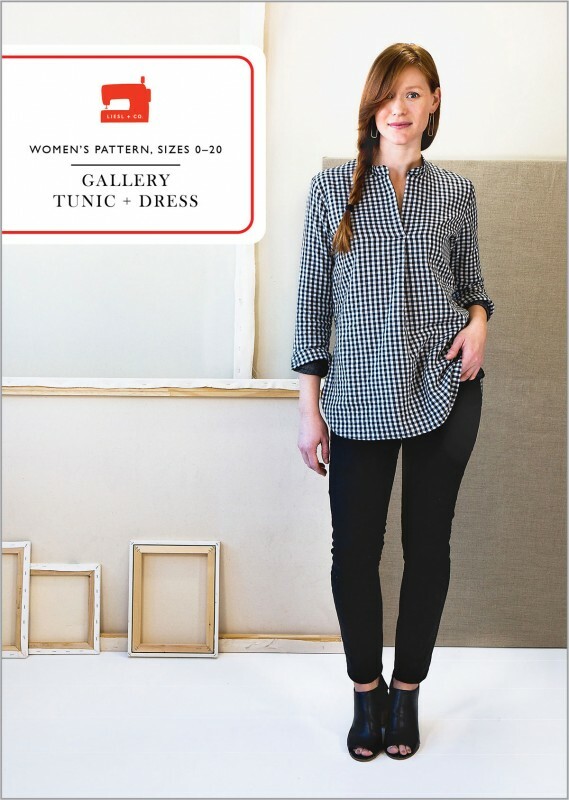 She has already sewn a couple of Gallery Tunics including this one in a large scale black and white gingham. 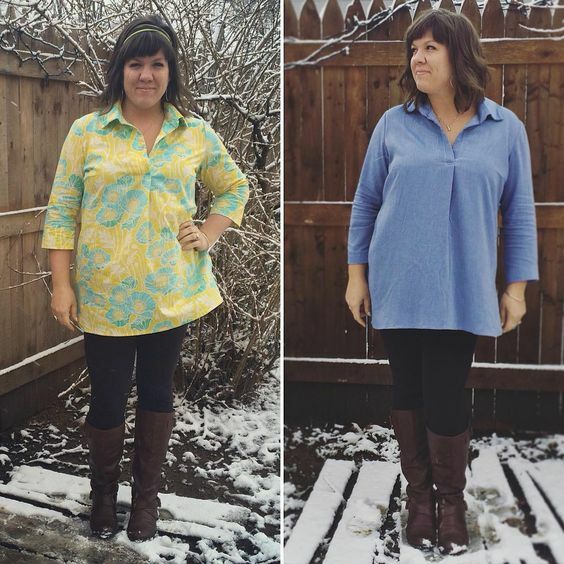 Jessica sewed herself two Gallery tunics; one in a bright bold print and another one in a nice soft blue. This Gallery Dress was made by Diana, she used some lovely Anna Maria Horner Loominous fabric. Another dress, but this time by Emma who used a dot chambray. 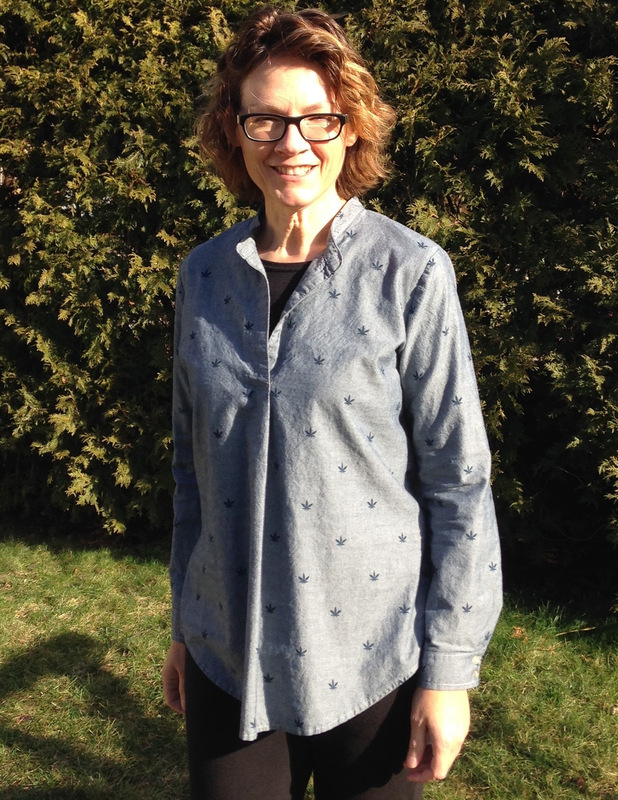 This chambray tunic was sewn by Deb. 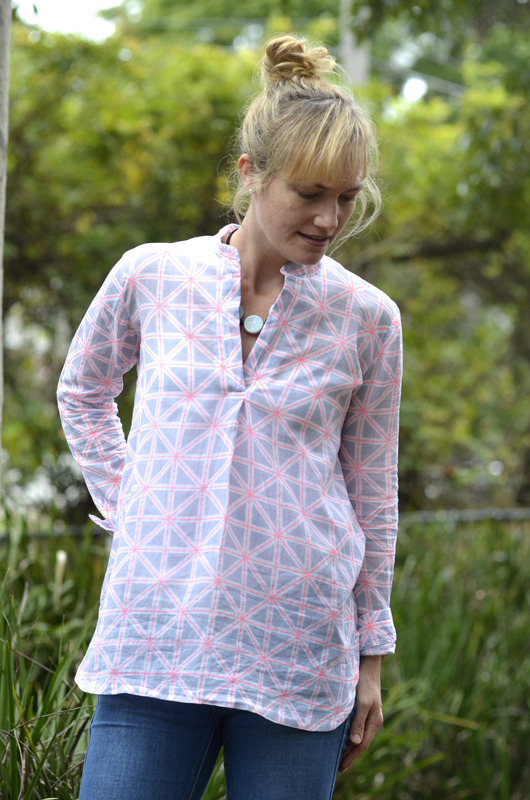 And this tunic was made by Nicola using some pretty graphic fabric. 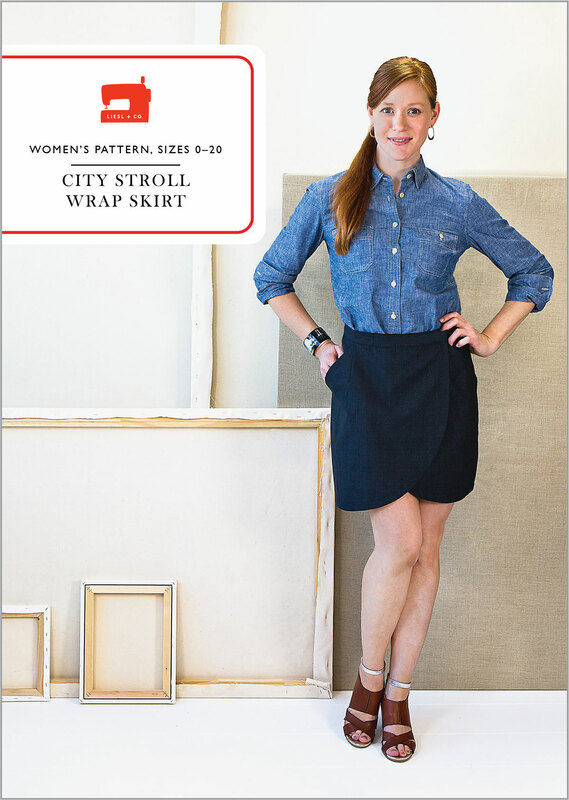 Next up is the City Stroll Wrap Skirt. Liesl had an introduction post for this pattern as well as a fabric and styling inspiration post. 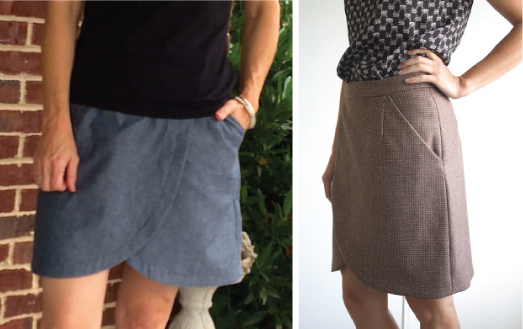 You’ll find that it’s a fun tulip skirt that is easy to sew and wear. Here are a couple of examples. Carrie made her City Stroll Wrap Skirt in chambray and Nicole created hers in a cashmere wool tweed. 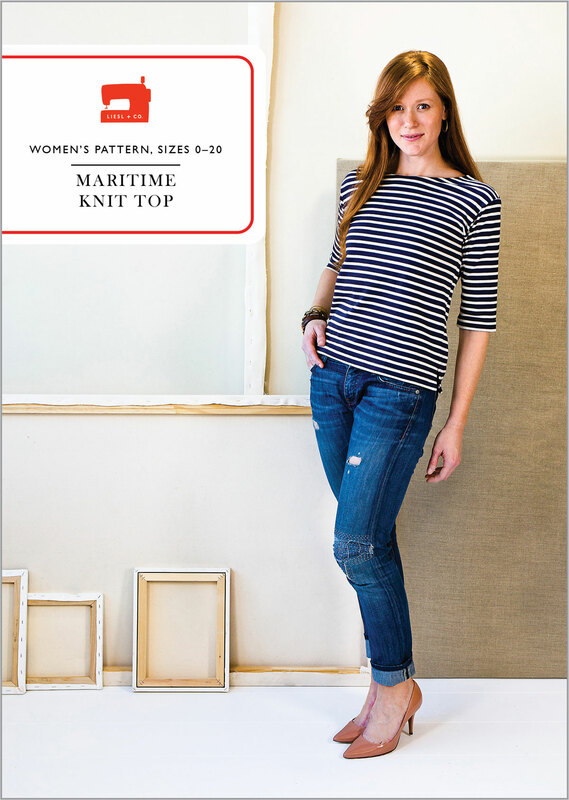 And last but not least, there was the Maritime Knit Top. Again Liesl introduced the pattern and offered fabric and styling inspiration. If your wardrobe doesn’t already have a classic Breton top like this, then it should! 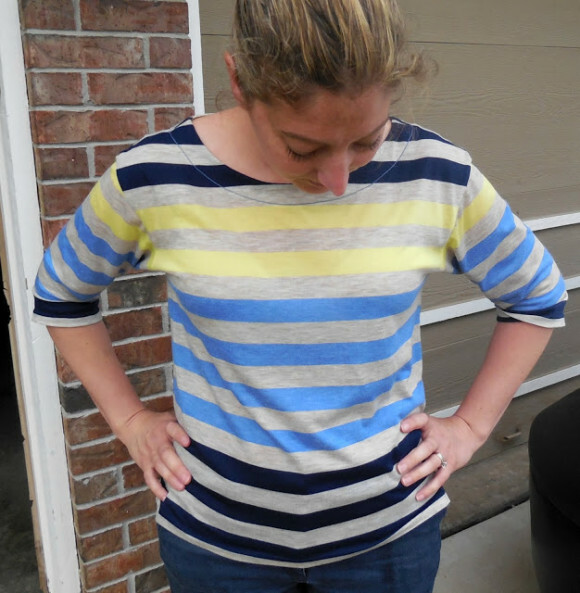 Don’t you just love this fun colorful striped Maritime Top that Joanne sewed herself? And there you have it! 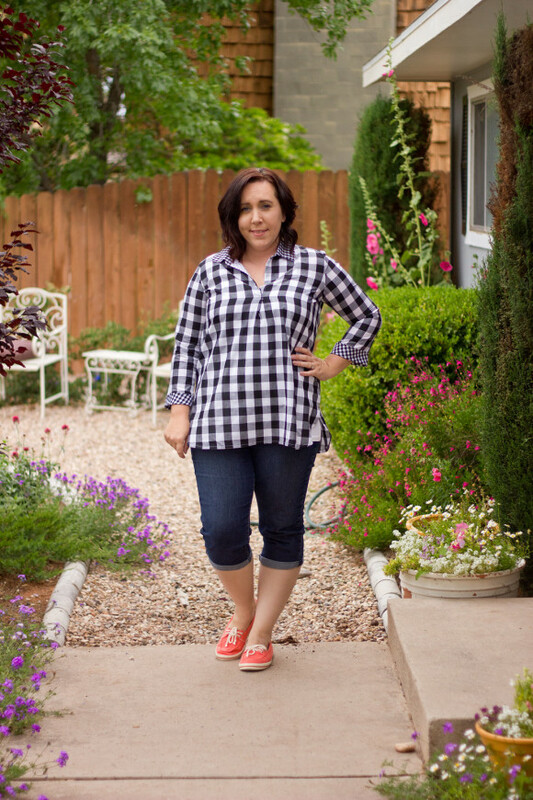 Which Liesl + Co. patterns will you be sewing this year? Please add your creations to the Liesl + Co. Patterns Flickr group and tag your photos with #lieslandco on Instagram. 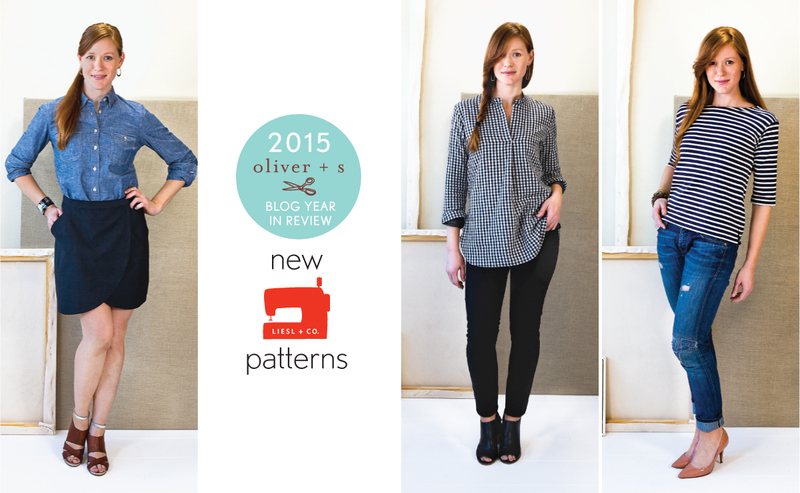 Next up we’re going to be focusing on the new Oliver + S patterns that were released last year. That’ll be later this week, so we’ll see you then.